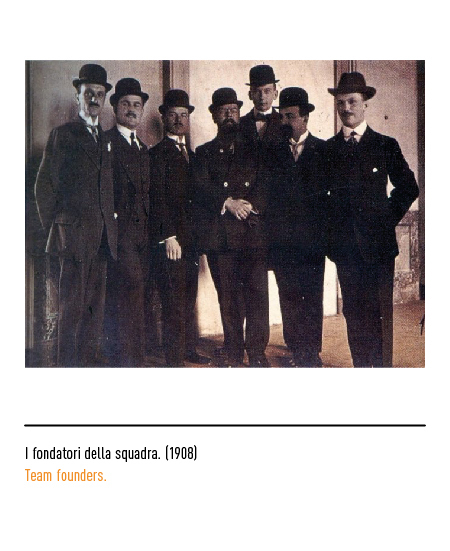 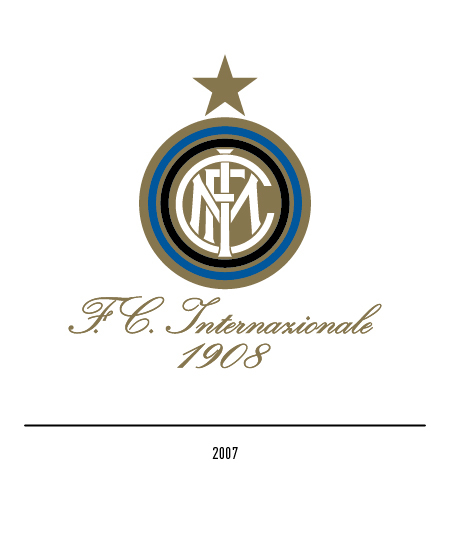 Inter was born in 1908 as the result of a dissent among the board of directors of the "Milan Cricket and Football Club"; the dissent consisted in the will of some members to allow foreign players who lived in Milano, Inter stands in fact for "international", while the rest wanted to keep an all-Italian profile for the team. 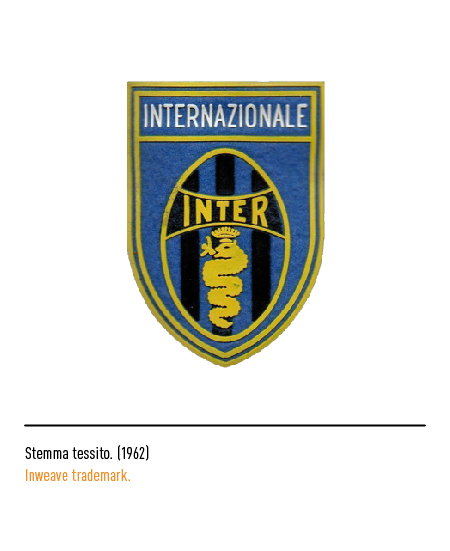 The name of the club, which in first instance was to be "Milano", was then changed due to the obvious confusion it would have created with the former parent club "Milan"; therefore, the name was changed to "Internazionale". 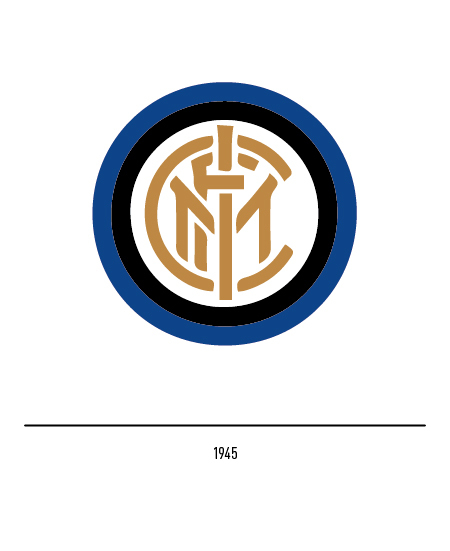 The first logo, dated back to 1908, was created by the painter Giorgio Muggiani, also part of the club founders: it consisted of a liberty-style monogram, inspired by British clubs. 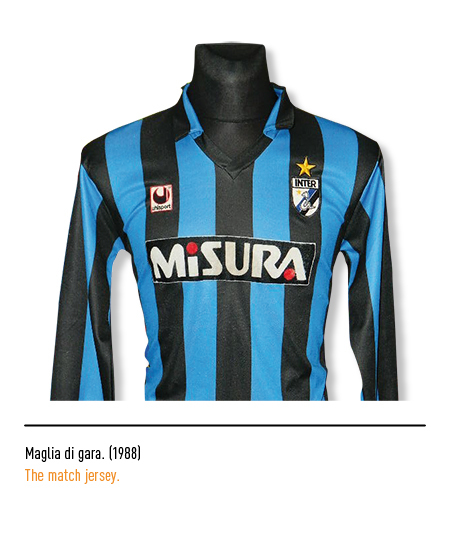 The choice for the t-shirts colors fell on black and, in opposition to Milan's crimson stripes, blue (this duality had also been inspired by the very pencil they used to create the sketches, which had one end with a red point and one end with a blue point). 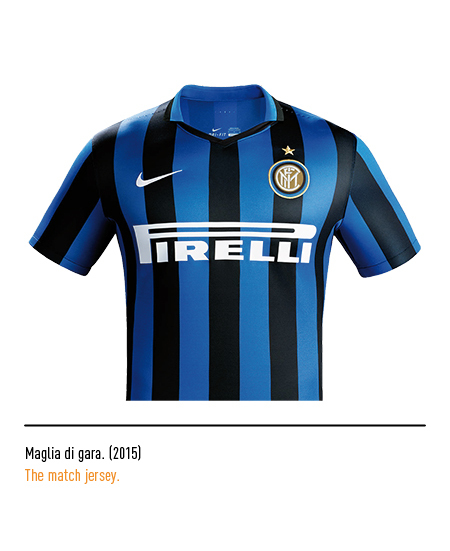 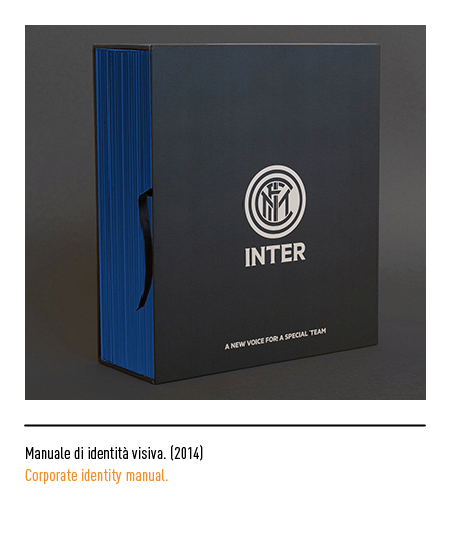 Specifically, the logo was composed by the white letters "FCIM" crossing each other in a round shape on a golden background, all of which was enclosed in two concentrically placed black and blue circles. 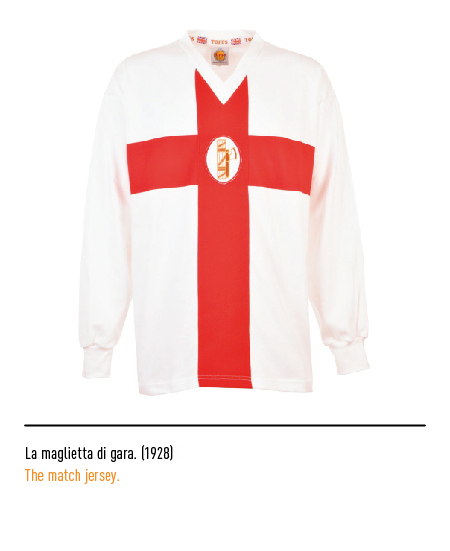 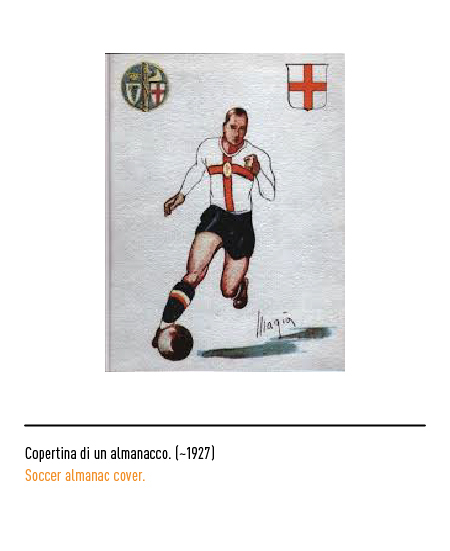 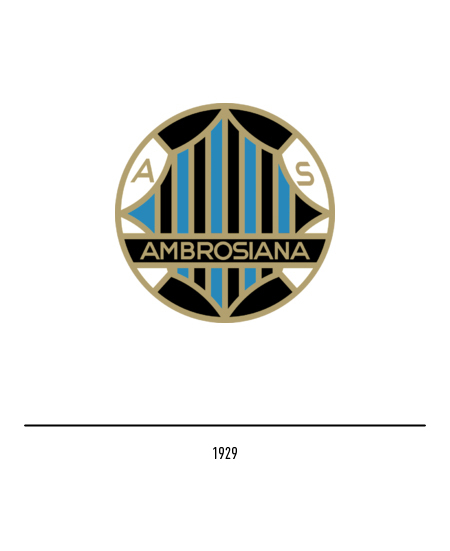 Due to the fascist regime censorship, in 1925 "Internazionale" was changed to "Ambrosiana", but the modifications did not stop to the name; also the logo and the shirt were modified. 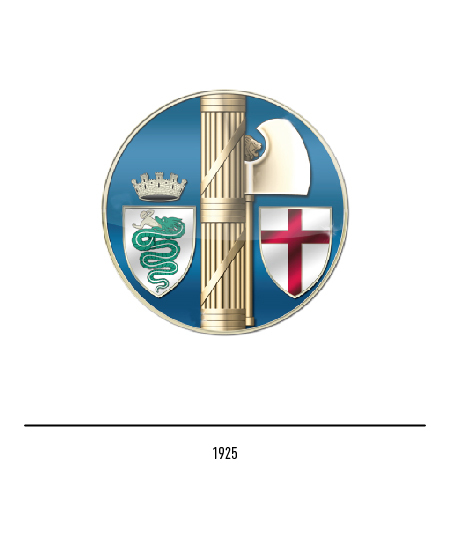 The round logo, started bearing the Fasces on a blue background in the center; furthermore, on the left triumphed the Visconti biscione, whilst on the right the red-crossed Milan shield. 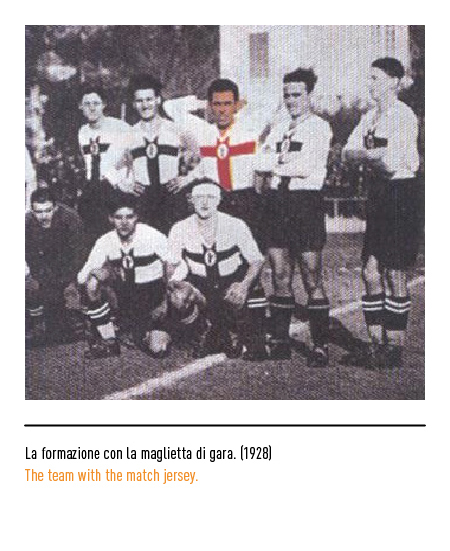 The uniform became red-crossed with white background, also bearing the Fasces. 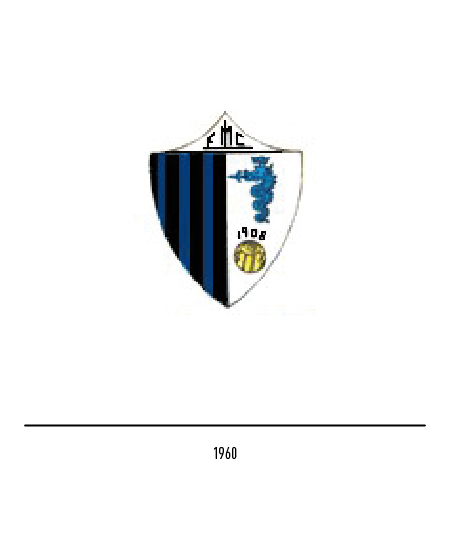 The newly-designed fascist logo survived only one season, and it was substituted in 1929: the new logo was totally different, still round, but with a black and blue striped rhomboid shape in the middle, sided by the letters A and S on white background; below, for the entirety of the logo, a black band was bearing the name "Ambrosiana" in golden letters. 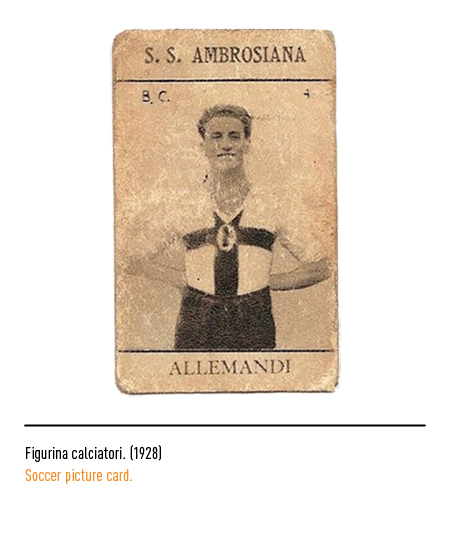 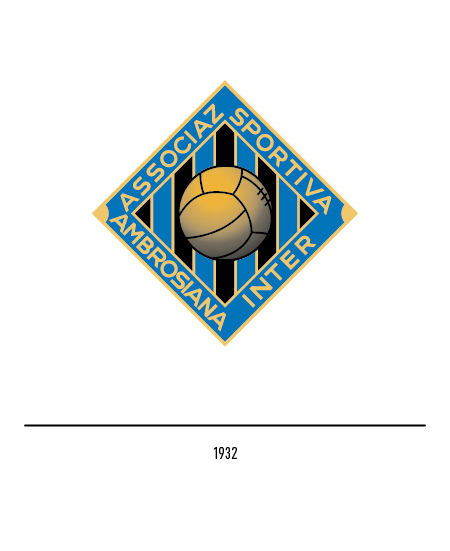 In 1932, pushed by the insistency of the fans who kept shouting "Inter" during the matches, the name turned in "Ambrosiana – Inter"; the logo was also changed, it lost the circle, kept the rhomboid adding a football in the center of it and the writing "Associaz. 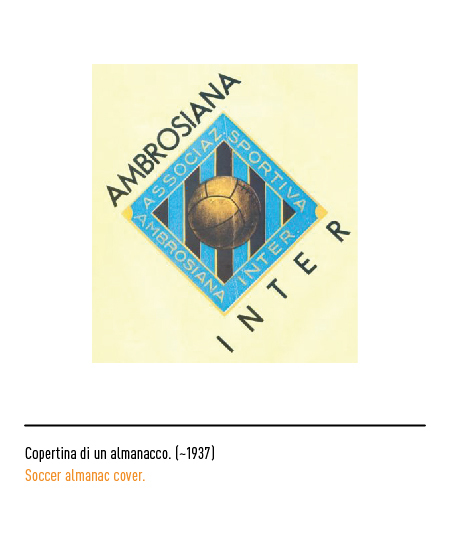 Sportiva Ambrosiana Inter" was placed around the rhomboid, together with a blue frame. 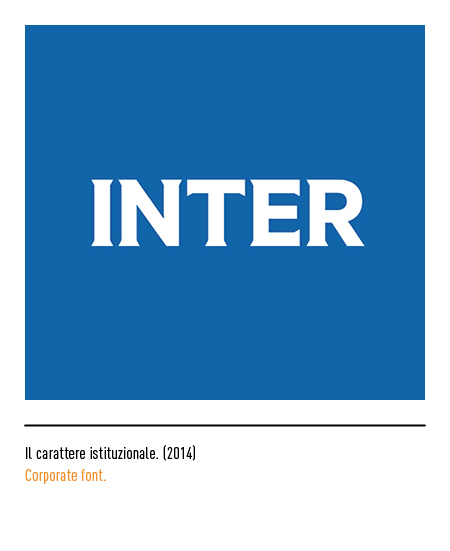 With the end of the war in 1945, the club came back to the original name, "Inter"; so did the logo: same shape, same letters but on a white background. 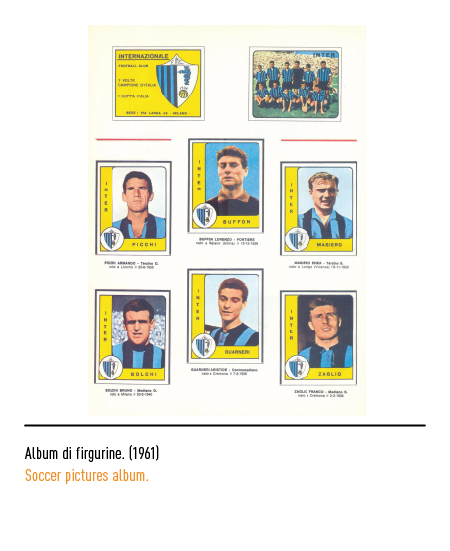 In 1960, a new radical change: the small shield (scudetto) halved with black and blue stripes on one the left and the Visconti biscione with a football and the foundation year on the right. 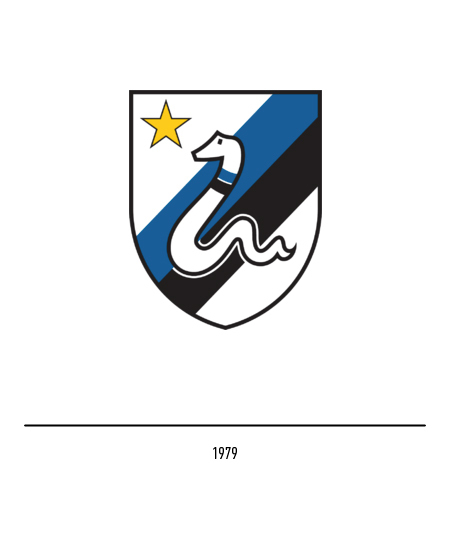 In the upper part of the shield a small triangle with the club's acronym was placed. 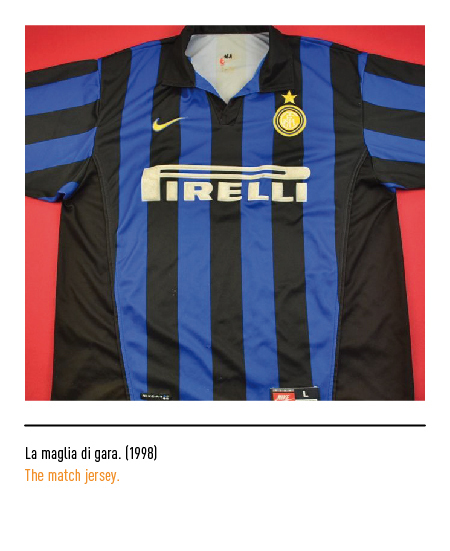 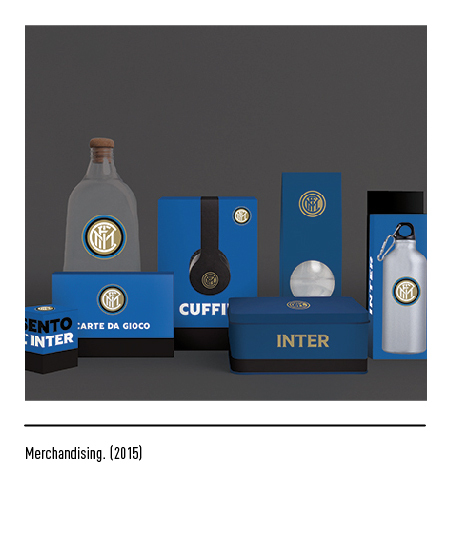 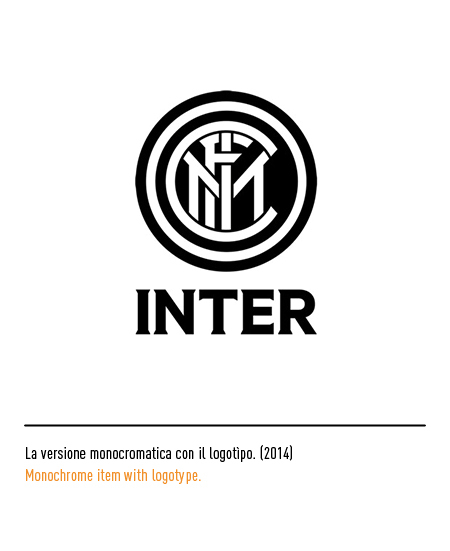 In 1962, yet one more change was made: from a circle it became an ellipse striped in black and blue, dominated by the golden biscione and bearing above the name "Inter" on a black band and the acronym "FC" in golden letters on a blue background. 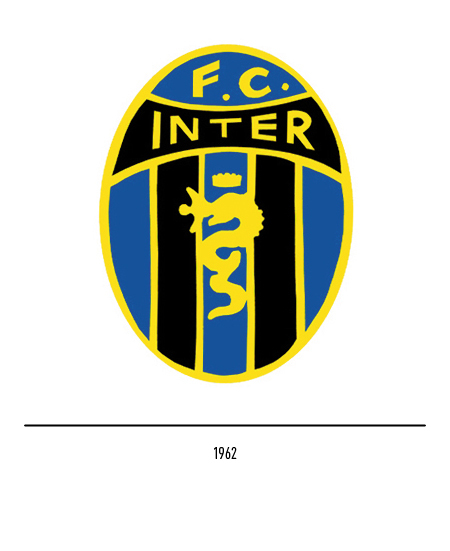 In 1979 the logo changed once again: the stripes became two and diagonals, and the golden biscione was represented white, not holding the man in his mouth and had smoother and more ordered lines compared to its old figure; on the top left the star symbolizing the 10 scudetti won until then. 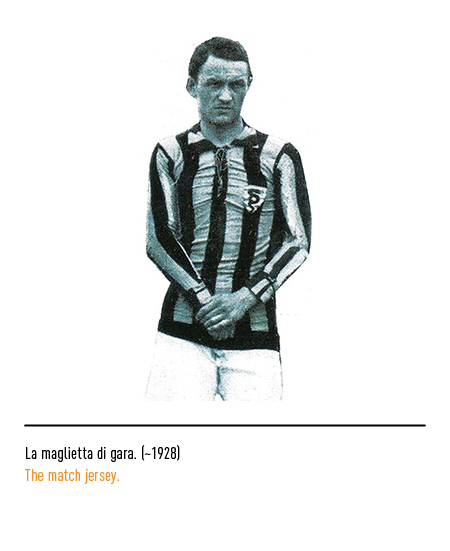 This lgo also started appearing on the uniforms. 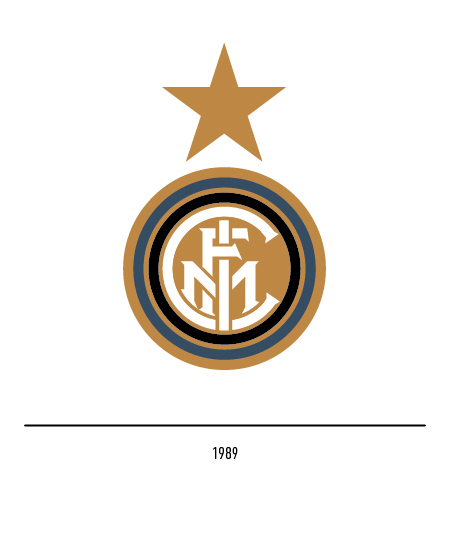 In 1991 there was a comeback to the 1973 logo, but smaller and dominated by a big star; 1998 saw the 100th birthday of the club, and also the presentation of a new logo to celebrate it: a group of concentrically placed circles bearing the inscription "Inter" in the middle together with the foundation year; the star lost its privileged spot on the top, and was displayed beside the inscription. 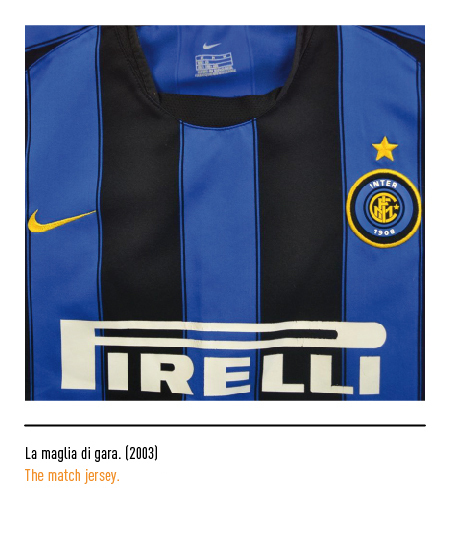 In 2007 the star regained its usual position, and the inscription was displayed in calligraphic italic characters. 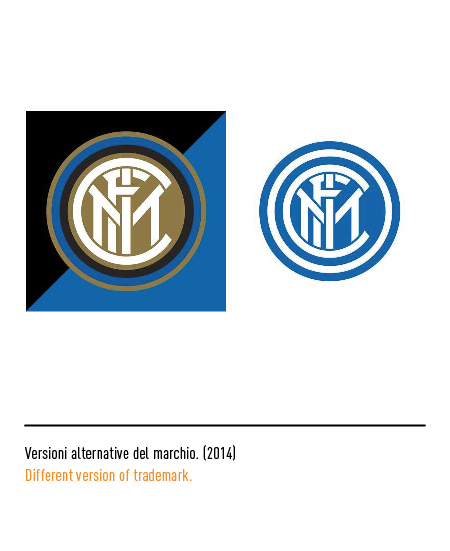 In 2014 the last restyling was made: the Leftloft agency took it upon themselves to simplify the logo in terms of shape and characters; most importantly, the proportions have been fixed, making the logo readable on all the different supports it had to be printed on. 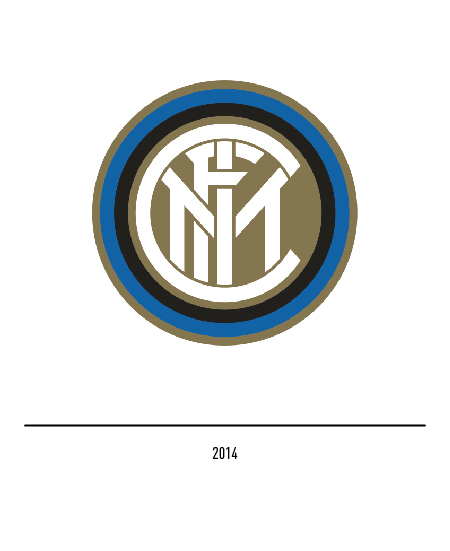 The club's denomination lost its italic font, and earned its own dedicated font. 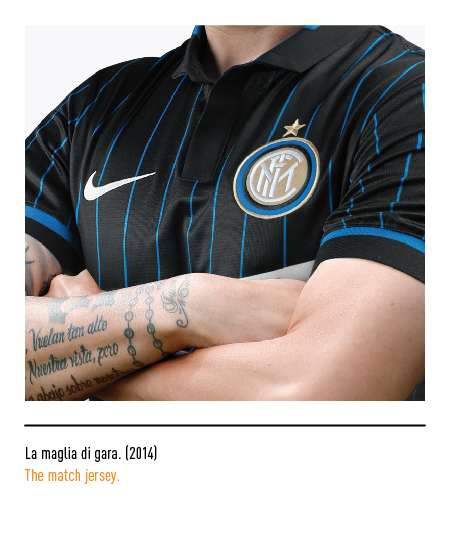 The star has been indefinitely removed, and now appears only on the shirts.